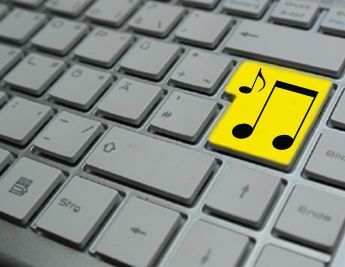 Do you listen to music while you’re working? I’d love to be able to, but sadly I can’t – my brain just doesn’t work that way. When I’m reading or writing – even just a simple email – the music distracts me and I just can’t focus. I know that lots of people do manage to enjoy music as they work, and even find that it boosts their productivity and/or creativity. Elisa Bonora, an Italian translator, is one of them. She’s very kindly written a guest post on the subject. Here it is. Some things have always been with you, as simple as that. I was born with a curiosity for words and their hues of meaning, in my native language and in foreign ones. And I was born with a deep love of music, a language in itself. Music, for me, is a universal but also very personal language. It resonates deeply with me, putting me in the right frame of mind to tune into my creativity and enhancing my productivity, or my mood. I’ve been studying music since I was a child and it’s part of my everyday life and routine. When it comes to my job as a linguist, it helps me unplug from the world and focus on words. The way I see it, translating is an art: it’s very much about finding the right feel between two worlds and languages, and music can be my key to connect with them, almost by magic. Which music for which work? There are no set rules as to which music I listen to for each different type or stage of work; sometimes it just depends on the mood I’m in. However, I tend to choose something quiet and calming when I’m working long hours on a big project and I need to be focused and relaxed, with no distractions. Upbeat music gives me extra energy and a boost when I feel I need it – it might unlock the right idea for creative challenges. It also works well with less demanding tasks, or for the first draft. In any case, it has to be something that really speaks to me: I need to feel a connection with what I’m listening to. Of course silence is an option too, for example when I’m working on a very complex task with many issues requiring attention. For re-reading and final polishing, when I need to make sure that the text reads flawlessly, I usually prefer peaceful tunes or no music at all. 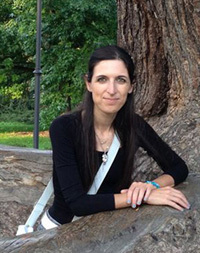 Elisa Bonora, owner of Millefolia Translations, is a translator and editor working from English and Spanish into Italian. Elisa has been involved with classical and modern music all her life. With a strong background in natural sciences, wildlife and the environment, she is committed to a green lifestyle and believes that “communication makes all the difference in the world”. She also believes in providing “Italian translation, editing, and language consulting with a smile”. Thanks Marie. It’s annoying, isn’t it – it would be lovely to keep up with new tracks and listen to old favourites while working. It would so enrich the working day. Marian, I’m just like you. I prefer silence when I work, as I find music distracting. Elisa, thank you for the playlist. I can’t wait to listen to the suggested songs and get to know you better this way. Thanks for commenting, Alina. It’s nice to have a new playlist to explore, isn’t it – and as you say, it’s a lovely way to get to know someone better and also to widen your music horizons. Thanks for your comments, Marie and Alina! Fascinating subject, isn’t it? We’re all touched by music in a way or another, it’s just that it speaks to us in different ways. ‘I may consider tweeting my new favourite tracks regularly to keep you updated!’ Not a bad idea, Elisa.